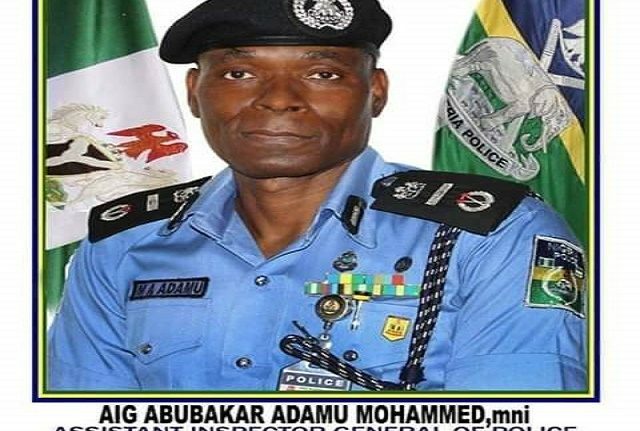 President Muhammadu Buhari has approved the appointment of Adamu Mohammed, a former commissioner of police in Enugu state, as acting Inspector General of Police (IGP). The new IGP before his appointment was serving at the National Institute of Policy and Strategic Studies (NIPSS), Kuru, near Jos. The Acting IGP Mohammed, who hails from Nasarawa state, was “transferred out of relevance”. Mohammed was a deputy commissioner of police in Ekiti state and had served at the Interpol before he rose to the rank of Assistant Inspector General of Police (AIG). His appointment will douse the tension surrounding the tenure elongation of Ibrahim Idris, outgoing IGP. There had been reports on the plots to extend Idris’ tenure but opposition parties kicked against it. Idris will retire on today after reaching 60 years as he born on January 15, 1959 and after completing the mandatory 35 years in service. The post BREAKING: Buhari Appoints Adamu Mohammed As Nigeria’s Acting IG appeared first on Naijaloaded | Nigeria's Most Visited Music & Entertainment Website.